Residents of Caldwell junction are calling on the Government of President George Manneh Weah and the Monrovia City Cooperation to remove a pile of dirt currently at the Junction. The residents said for the past week they have made several calls to the government but to no avail. One of the residents speaking via telephone with The Monrovia Times says the dirt pile poses a serious health hazard to the people of Caldwell Junction. 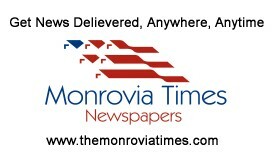 The residents who spoke with the Monrovia Times based on anonymity said for the past week or more, they have been calling on the government particularly the City Mayor to remove the dirt but nothing has changed. Our reporter who visited the scene said the stench from the dirt could be inhaled from miles away, as the pile of dirt serves as breeding ground for mosquitoes and other insects. According to some residents, the dirt is supposed to be removed twice a week but in the past weeks, nothing has been done to remove the dirt. When contacted, the administrative assistant to Monrovia City Mayor Jefferson Koiji, Mr. Mohammed Bamba said the cooperation has plans to remove to the dirt during Saturday’s general cleanup campaign. He said while it is true that the cooperation is having some challenges with logistics for the few days, all efforts are exerted to ensuring the pile of dirt is removed during the cleanup exercise. Mr. Bamba also cautions that the cleanest of the City is not solely on the MCC alone but a collective of all the citizenry.